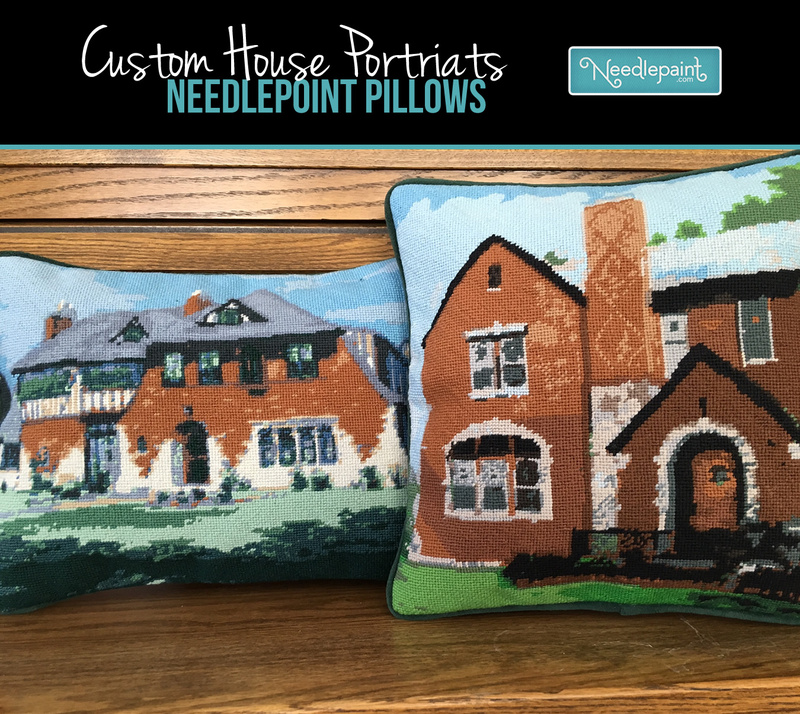 We recently needlepointed two house portrait custom needlepoint pillows for a customer over the holiday season, and they look amazing! They emailed us water colors of the two homes that they wanted us to stitch and we worked with them to recreate them in needlepoint. Whether you want to needlepoint the pillows yourself, or have us make the pillows, we’d love to help!